Recommendation and giveaway of THE THEORY OF EVERYTHING! Fans of A.S. King and Libba Bray, pay attention! 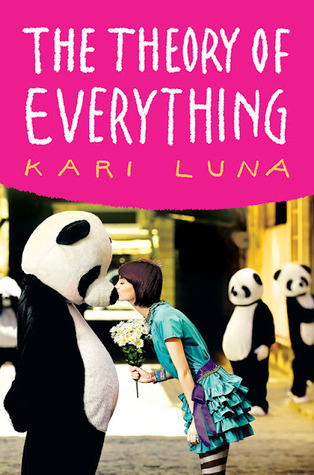 Kari Luna's debut, THE THEORY OF EVERYTHING, is a well-written and unique contemporary-with-magic-realism novel that's a cross between Everyone Sees the Ants and Going Bovine. The deal: Sophie Sophia has begun to experience "episodes" — uncontrollable, vivid, and bizarre hallucinations that, when they're over, leave her back in the real world with a small physical "souvenir" of the event. Her father, an eccentric theoretical physicist, also had the same kinds of episodes, sometimes vanishing for days — until he disappeared for good years before. Sophie is trying to prove that she (and her father) aren't crazy, that these episodes are real ... and figure out how to stop them, as they're inconvenient (to say the least) and could lead to a psych ward. She's joined on her quest by a shaman panda and a physics-obsessed best friend as she travels to NYC to find her father and learn more about his research — even if it means uncovering answers that she never expected. THE THEORY OF EVERYTHING is quirky, fun, and heartfelt, and I love the accessible-to-non-science-people inclusion of theoretical physics. 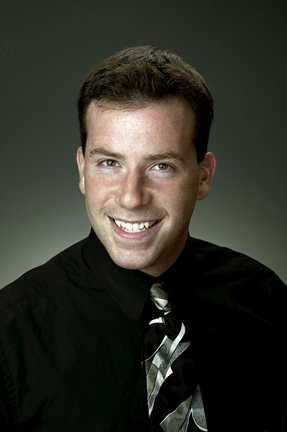 (Yayyy layman's terms!) And though this novel feels lighter and is very charming, it tackles subjects like parental abandonment and mental illness with the respect they deserve. I definitely recommend it as a great addition to the contemporary YA genre. THE THEORY OF EVERYTHING is available now! I'm giving away my ARC to one lucky winner below. Happy reading! 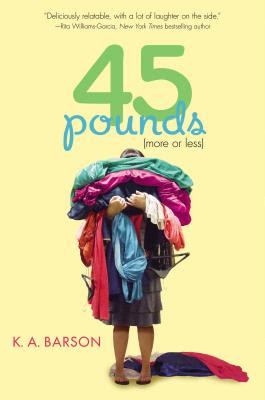 I'm so happy to recommend author KA Barson's debut novel 45 Pounds (More or Less). It's a funny contemporary novel about a root-for-her heroine and her dysfunctional family. In this case, the dysfunctionality centers (mostly) around food, since Ann is overweight and has a high-pressure, stick-thin mother. This book has a lot of humor, and Barson develops the complexity of all the characters in Ann's blended family and outside life very well. I was a little leery at first about how Ann's weight loss would be handled throughout the book, but I was happy with how the story progressed. I appreciated that, from the start, Ann KNOWS what the "right way" to lose weight is — she can quote a weight-loss book cover to cover — and she's very aware of how damaging her fad-dieting and bingeing behavior is. Sometimes she can fight it, and sometimes she gives in. That, along with Ann's self-esteem issues and skewed self-perception, felt very realistic to me, and I think it will ring true with a lot of readers, whether or not they've had weight/body issues. Ann isn't stupid, but she's battling an addiction and lifelong habits, and I sympathized with her struggles. Updated to add: I want to emphasize here that, despite the (no-pun-intended) weightier subject matter, this is a funny book. Ann is a wry, witty narrator who gets herself into some ridiculous situations, and I read 45 Pounds cover-to-cover with a smile on my face! Overall, I recommend 45 Pounds for anyone looking for a funny but not fluffy contemporary! 45 Pounds is available on July 11th from Viking Juvenile! Pre-order at Barnes and Noble, IndieBound, etc, and you can win my ARC here!